DONATE - 100% of the funds contributed will go directly to impacted flight attendants in the form of cash assistance. 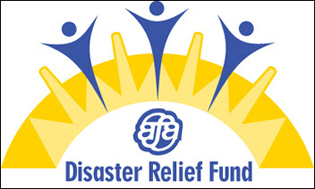 The AFA Disaster Relief Fund is a 501(c)(3) organization separate from AFA's operating funds. Union Plus Disaster Relief Grants of $500 are available to help eligible participants in the Union Plus Credit Card, Insurance or Mortgage programs who are facing financial hardship due to the disaster. The money does not have to be . . .
Oct 30 - Through the Federal Emergency Management Administration (FEMA) individuals in New Jersey and New York in certain counties are eligible for disaster assistance. American Airlines and American Eagle are suspending operations from 10 p.m. Sunday, Oct. 28 until midday Wednesday, Oct. 31 at nine airports in the Mid-Atlantic and Northeast due to Hurricane Sandy – DCA, IAD, BWI, ORF, PHL, EWR, JFK, LGA and BDL. American and Eagle canceled 140 flights to and from these airports on Oct. 28, and an additional 1,431 flights from Oct. 29 through Oct. 31. Operations may resume in some cities on Wednesday, Oct. 31. The company will be putting out an HI6 regarding the NE operations. The plan is to begin operations on Thursday and schedule some repo flights out of ORD, CMH and RDU to the NE. Please make sure you check your schedules for updates on the return to domicile flights. Many questions have arisen with the recent storm that passed through the NE, causing many members trips to be extended in out-stations. Following are contractual provisions that can be useful for those who will soon be returning to domicile when you speak with scheduling. Section 7.C.2 states that a FA will receive one calendar day free from duty in her/his domicile in any seven-day period. If you find yourself in this situation once you return make sure to call CS to request that they provide the day off as per the contract. Side-letter II discusses the “Return to Domicile Extension” this provision of the contract allows the company to return you as soon as possible via the most direct route back to domicile. Once you arrive in domicile you are to be released into rest. Contract Card 19 further explains the return to domicile extensions. Section 7.D.1 guarantees all FA’s with a minimum of 11 days off a month. If you go below this requirement make sure you submit a RF 200 RTD. If you are scheduled to deadhead out of you current city as an A-3 and are not able to get on a flight. Make sure you contact crew scheduling immediately to have them assist you with the travel out of that city. If you are based in NY and need to get there for work, once you have checked flights and you may not be able to get there. Call Crew-Scheduling to discuss the possibility of having them positive space you to NY, the call will need to be made with ample time to make sure they can help. As a reminder make sure you print copies of your listings in the event you will need to use the commuter policy.